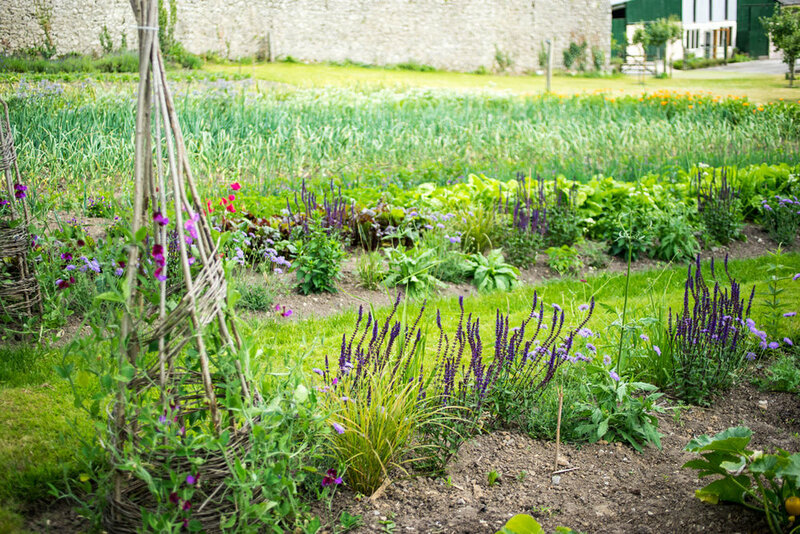 Here at Cloughjordan House we place great emphasis on using the highest quality, locally sourced, ingredients. 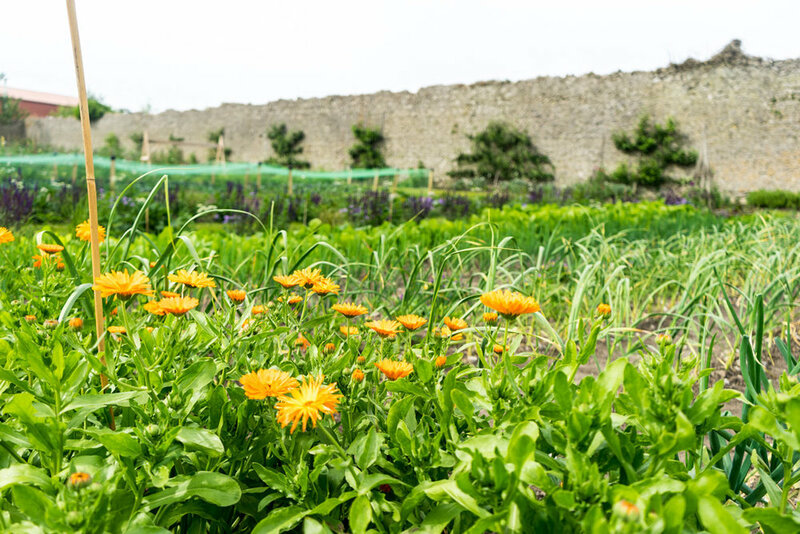 One of the key ways we achieve this is by producing vegetables, herbs and flowers in our very own walled kitchen garden. 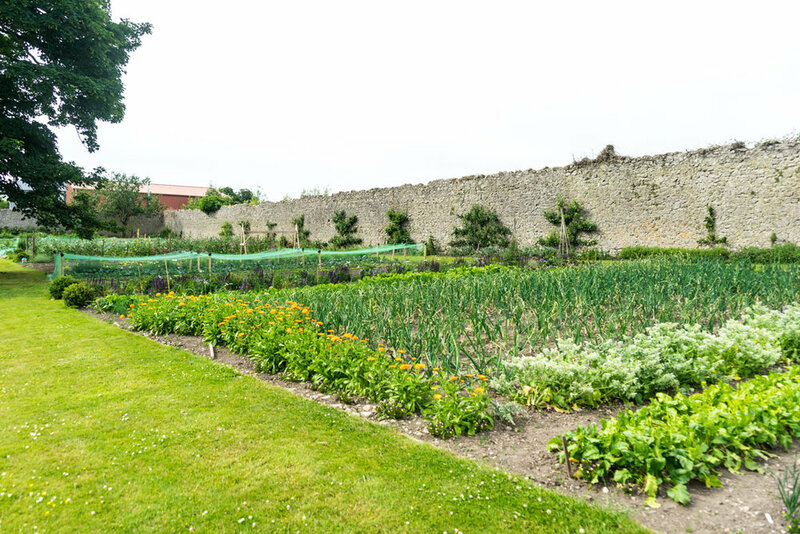 We grow a wide variety of seasonal vegetables that include; leafy greens, beetroot, carrots, leeks, kale, squash and tomatoes - to mention but a few, all according to organic principles. This means that we try to maintain the health of our soil to the upmost and encourage as much plant and species diversity as possible. All our produce is harvested daily and brought directly to the kitchen where they are lovingly incorporated into our crafted menus by our team of passionate chefs, for our guests to enjoy. We also grow an array of cut flowers that you will find displayed throughout our rooms, in addition to dainty edible flowers used to garnish all of our delicious dishes.